I LOVE when I find awesome local companies, don’t you? I mean, there is truly nothing more rewarding that falling in love with a small business and seeing them grow. With that said, I’ve had quite the love affair with a few companies in my day but I have to let you all in on my new obsession. Enter Dallas Caramel Company. YEAH, I said it… DALLAS CARAMEL COMPANY! Now, Dallas Caramel Company doesn’t have a storefront but they do have several retailers around town, all over Texas and even Indiana and New York for that matter. You can see all of the locations where you can get your paws on these babies here. 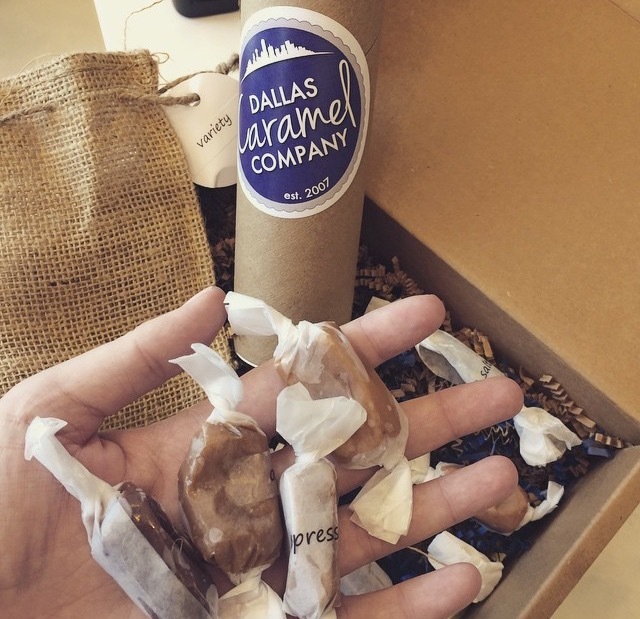 If you are lazy like me, you can have the incredible flavors Dallas Caramel Company provides delivered straight to your door, too. Their online store, offers some of the top packages and flavor options at very reasonable prices. These aren’t just some boring old caramels. DCC has some absolutely ridiculous flavor options! From chai to orange, bacon to apple pie – they make the absolute perfect gift (even if it is for yourself). Soft and chewy, sweet but not overpowering, these caramels will change the way you look at this classic treat. Pick some up today or place your order and absolutely demolish them this weekend!